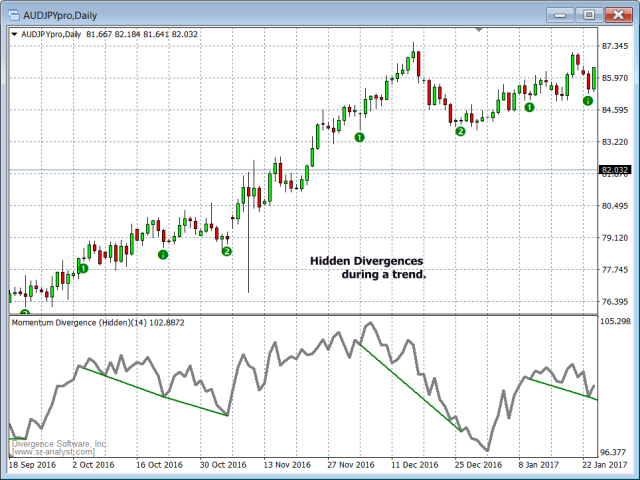 The Momentum Standard/Hidden Divergence indicator will plot the momentum, and will also identify and plot standard (regular) divergences between the indicator and the price action, OR it can be set to identify and plot hidden (reverse) divergences between the indicator and the price action. 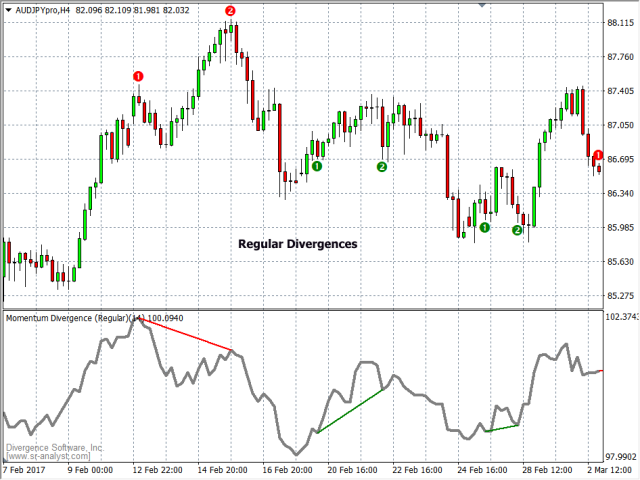 The divergences themselves are implemented as lines (default green for bullish divergence and red for bearish divergence) drawn in the indicator pane. 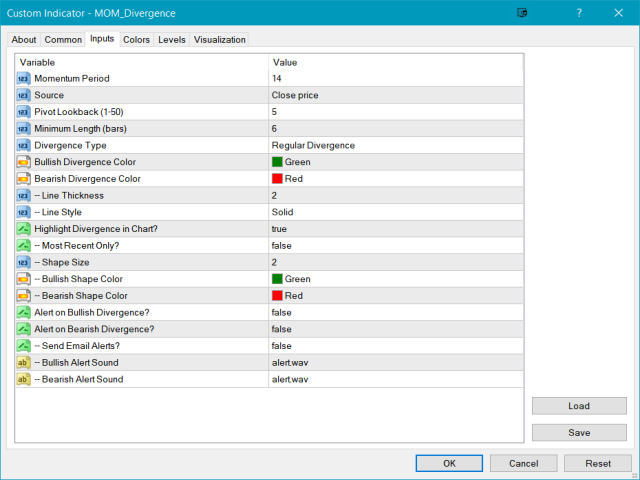 If activated via the Inputs dialog, alerts will be generated whenever a new divergence is identified or when an existing divergence is extended. Set the period for the Momentum calculation. Default is 14. Modifications to prevent alerts from triggering on initial load.